It has been over a month since the world was introduced to WannaCry ransomware. However, even with increased awareness and preventative options in place, businesses are still being effected. A Honda plant in Japan was the most recent victim of the WannaCry epidemic. On June 18, 2017, the plant had to temporarily shut down operations while they fixed their computers after an apparent ransomware attack took place. Within 24 hours the plant was back to full operations. However, this begs the question — why were they infected to begin with? With WannaCry being “old news” to antivirus programs, all of them should know to block the malware. How did it sneak through? Did the plant even have a security solution in place? It’s doubtful that an organization of that size would fail to protect its data with an adequate security program. Although, that is clearly the case. 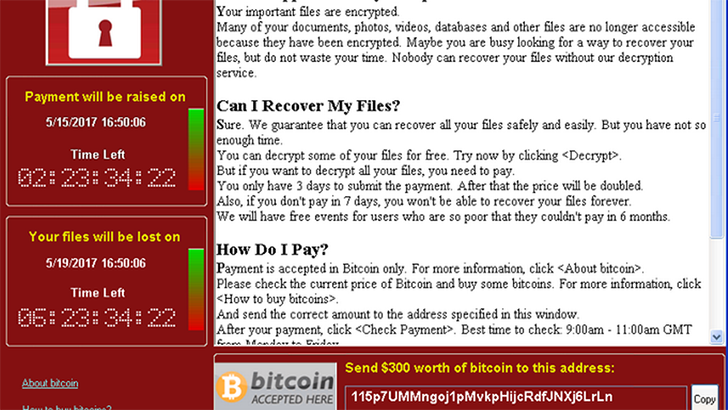 Ransomware, Ransomware Reports, RansomwareWar ransomware, ransomware attacks, WannaCry. permalink. I have an evergreen account and just because I have forgotten my password (75yrs old) my computer(s) display unlicensed. I have not even reach the 5 unit limit. Is this how this made in USA protection works? I filled up 4 tickets but have not heard a word from PCmatic. I might have been infected, had my information taken and became a victim of “IDENTITY THEFT”. Help!!! It looks like we have responded to each of your helpdesk tickets, but it is possible they were spammed, or put in another folder. That being said, I have sent you an email regarding how to reset your password. I included one of our support technicians in the email as well, and he will be able to assist you further with any questions or concerns you may have. Thank you for your patience.